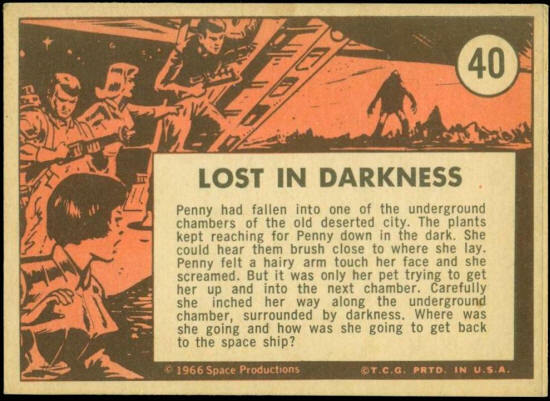 Penny had fallen into one of the underground chambers of the old deserted city. The plants kept reaching for Penny down in the dark. She could hear them brush close to where she lay. Penny felt a hairy arm touch her face and she screamed. But it was only her pet trying to get her up and into the next chamber. Carefully she inched her way along the underground chamber, surrounded by darkness. Where was she going and how was she going to get back to the space ship?